She has successfully managed a wide cross section of strata complexes including; small residential to inner city high-rises, commercial & industrial units and shopping centers. Yvonne said… “The key element to achieve smooth strata management, is to exceed the expectations of your strata owners. Taking a proactive approach to preventative building maintenance and applying effective communication skills to all owners, is a good place to start“. Her past experience also comprises of overseeing a management portfolio in excess of 200 strata companies with over 3000 lots. 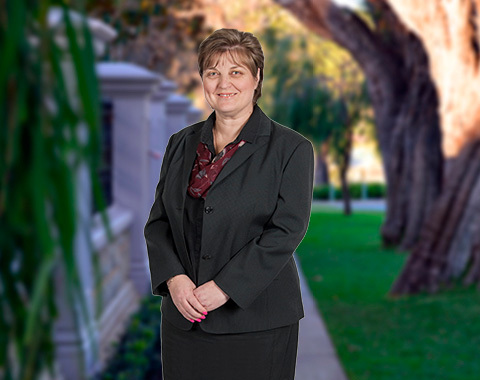 Whilst the majority of these strata properties have been located in the greater Perth metro area, Yvonne has managed strata properties from Mandurah Peel region to South Hedland Northwest region. As a Director of ACTON Strata, Yvonne brings all her knowledge and experience to bear, to ensure her clients receive the maximum benefit from their asset. “How terrific it was to meet Yvonne and Doug! Strata managers from heaven for me as a property manager! Over the years, I have referred them to several of my clients and one of those clients still talks about how easy they are to deal with. When I first met Yvonne at a meeting, I experienced first-hand how efficient and well time managed it was. I was use to long drawn out unprofessional meetings that people could not control, so watching Yvonne in action was a breath of fresh air for me! I recall the time I saw Yvonne organize a total revamp of an old carpark in a highrise complex, which would normally have been a logistical nightmare dealing with the parking issues of all the tenants & owners. To her credit, it all went so smoothly and the project was completed without delay. The minimal time taken to complete this surprised me no end. I have to say we are impressed with your management of the strata company, you are good at what you do. You hear of so many horror stories from other people that makes you shudder. I have been a member of the Strata Management Committee of the Sept A L’Mer’ group of units since inception in 2004. During that time Yvonne has been the Strata Manager for us and I can say with all honesty that she has been a pleasure to deal with. She is always very friendly, hardworking and prompt with both the AGM and with any matters that should arise during the year. I wish both Yvonne and Doug every success in their Strata Management business. Our strata company has had numerous strata managers over the years, but Yvonne you have been a standout and the owners at Clarendon greatly appreciate the professional and effective manner that you go about your business. Thank you for making the day to day operations of our strata company more enjoyable. As a tradesman I’ve been dealing with Doug and Yvonne Harwood for over 10 years and find them very professional, friendly, punctual, courteous and get the job done. It’s always a pleasant experience working with you, and I have no hesitations at all recommending Acton Strata as they’re very competent in their field. I have been involved in the Real Estate Industry for over 20 years and to find genuine service in the strata sector is becoming increasingly difficult. I was fortunate enough to be given Yvonne Harwood’s details of Acton Strata. Over the past few years that Yvonne has been managing the strata complex, her service, knowledge and attention to detail is second to none. The upkeep of the entire complex impacts on everything from my rental returns, to my future re-sale value, so having the comfort that my investment property is in good hands, is one less thing I have to worry about. As a business owner myself I understand the constant demands within the service industry and this is why I have no hesitation in recommending Yvonne Harwood to any of my clients or family. Yvonne, we know we are in good hands, as you have a proven track record with us over the years, to deliver on your promise of excellent strata service. Our Strata Council of Owners have provided other Strata's with your details in the hope that you will be rewarded with additional clients down here, in recognition of the terrific service you provide Paradis Vaie. As owners of a commercial strata complex, we have high expectations on our strata manager for a quick response to our requests and to get things done right the first time. In this regard, Yvonne has proven her ability time again to meet all our expectations. I would have no hesitation in recommending Yvonne’s strata services to other commercial strata owners. We worked with Yvonne Harwood previously for about two years, when she worked for another company, with the management of a high-quality holiday Strata villa we owned at Port Bouvard. This complex is on the beach with canal and boat pens for each residence in the nearby canals - so it was just not the maintenance of our villa, but the surrounding jetty and boat pens that needed constant attention. We were delighted with the support, help and advice that Yvonne provided us with the many ongoing, complex matters arising with a holiday property. Yvonne then left this company to set up her strata business with Acton and we were left at her previous employment with poor communication and very little management. I ended up with an ongoing insurance claim that had not been dealt with for over 12 months. Our Strata owners then sought out Yvonne at her new company of ACTON Strata in December 2014 and moved our Strata Management back to her. The difference in service and communication has been second to none. The property had a myriad of ongoing problems sorted such as repairs, landscaping, signage, bin cleaning and regular garden and lawn maintenance and jetty locks and maintenance. Email replies are swift and efficient and Yvonne has been a delight to deal with. I had my insurance claim reimbursed within a month of being under the management of Yvonne at ACTON Strata. We have recently sold our property for the price we were asking because of the tip top shape of the complex and the efficient support and guidance Yvonne has been able to supply to the new owners during the selling process. I would highly recommend Yvonne for any strata management, she is highly capable and very pleasant to work with. As a council member of Independent Close, I was delighted to have Yvonne back as our Strata Manager. Things weren’t going as well as they should with the management of our strata complex, which meant extra work and stress for the council members. When we heard Yvonne had set up her own strata management business, we track her down and re-appointed her. Our strata company is back on track and we now have peace of mind, knowing that Yvonne is getting the job done and looking out for our best interest.